DI Ambrose is sent to investigate the murder of the leading lady at the bomb damaged Chalk Heath Theatre. 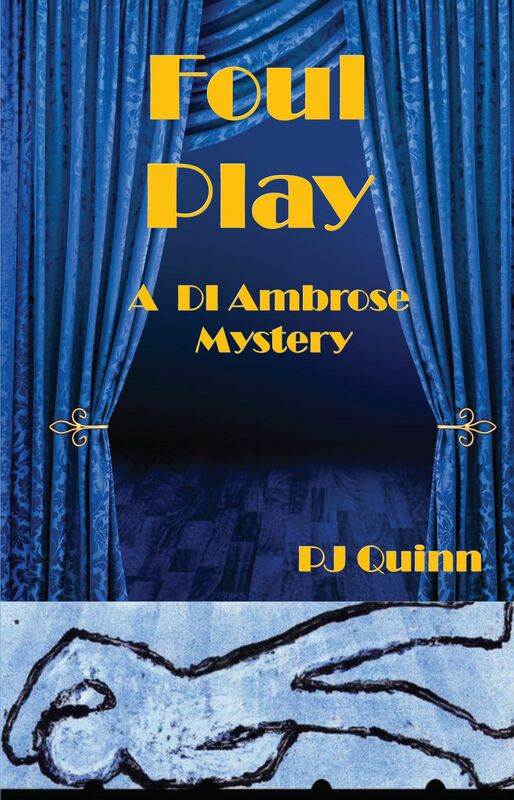 This intriguing detective story introduces DI Ambrose in the first of three tales of murder most foul in a fog bound theatre with a cast of eccentric actors to keep the reader engaged until the very last page. 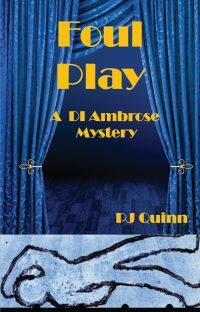 This novel is the first cooperation by mother daughter duo Pauline Kirk and Jo Summers writing as PJ Quinn. Set in a partially bombed out theatre in the sleepy town of Chalk Heath where the leading lady is attacked on stage during a rehearsal. This is postwar austerity Britain, James Dean, Danny Kaye and Brian Rix are all the rage, yet in Chalk Heath, culture is represented by the Players. Ambrose and his team set about finding the killer. This was a time when forensic science was in its infancy and crime scene processing was primarily good observation with a bit of fingerprint analysis and blood typing thrown in to taste. For the crime novelist this period allows for good character development and greater freedom to explore the relationships between all the principals. Foul Play is an exemplary tale of high drama in a dramatic setting while Ambrose, who remembers the theatre in is prewar glory, and coping with his own wayward son, attempts to reconcile his younger self, his son; the damaged theatre and acting troupe with the essential business of solving the crime.